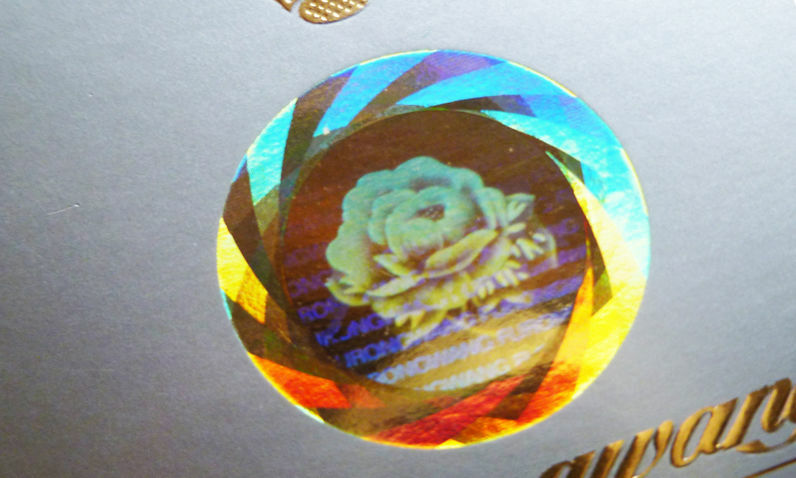 Holograms and patches are popular refining features to achieve a prestigious look on labels or packagings. Furthermore they can be part of amazing security features when combined with other printing technologies . 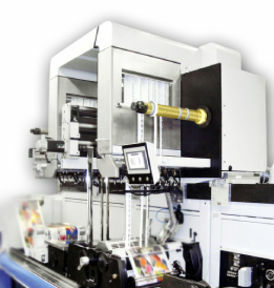 Pantec GS Systems provides insetting technologies in rotary as well as in flat bed. The massless vacuum technology of Pantec GS Systems allows high precision hologram placement at highest speed. The hologram streams are driven by very fast, individual servo drives and a slight vacuum. Despite the very fast movement with up to 20 cycles/s, the great absence of inertia forces by the vacuum technology allows best register for insetting the individual hologram on the web. SWIFT™ is a hologram/patch insetting and foil saving system which is designed to be added onto the rail of any printing machine. 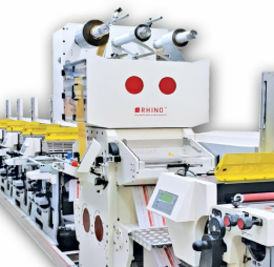 It replaces the unwind / rewind system of an existing foil stamping system. With a foil feed frequency of 20 cycles per second SWIFT™ applies up to 250´000 holograms or patches per hour with four hologram streams. 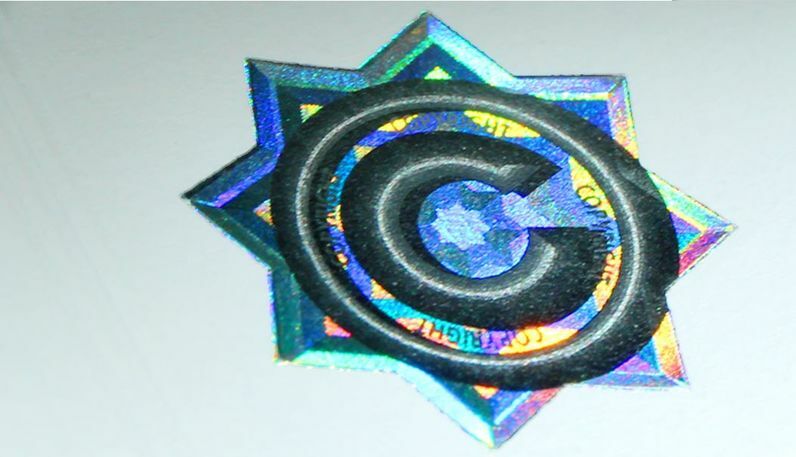 CHEETAH™ provides hot foil stamping, foil saving and hologram placement. The hologram to stamp tolerance along web direction and across as well as the the stamp to print tolerance are +/- 0.15 mm. When it´s up to hologram insetting in a flat bed process a highly precise foil feed is a must - especially when the hologram should be combined with an embossing. 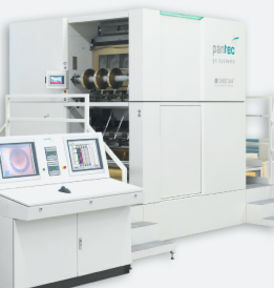 Pantec GS Systems has developed a very robust, precisely moving mechanical dancer system combined with a servo controlled foil tension to achieve a stable flat bed foil release. Whenever high quality flat bed embossing patterns should be combined with any kind of holograms (for prestigious labels, security applications), RHINO™ is the first choice. With its processing precision RHINO™ perfectly registers holograms into embossing designs, achieving a brilliant, prestigious look.